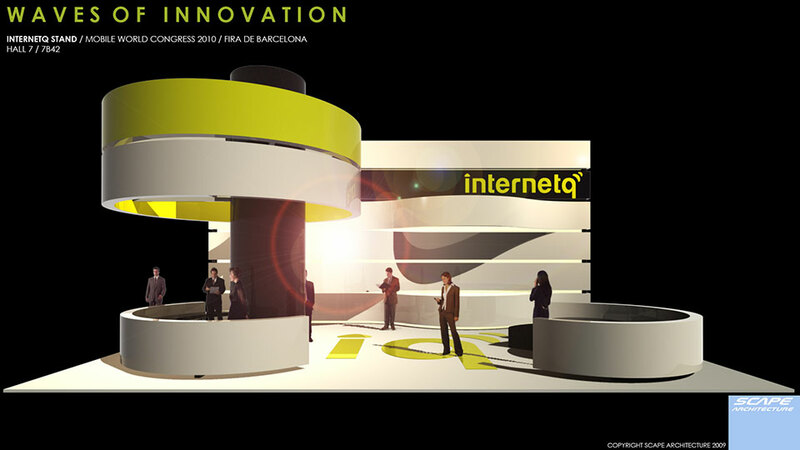 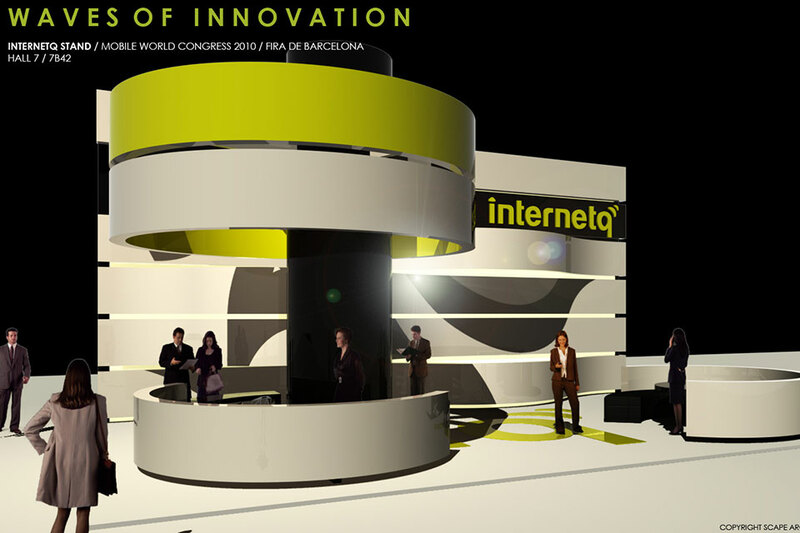 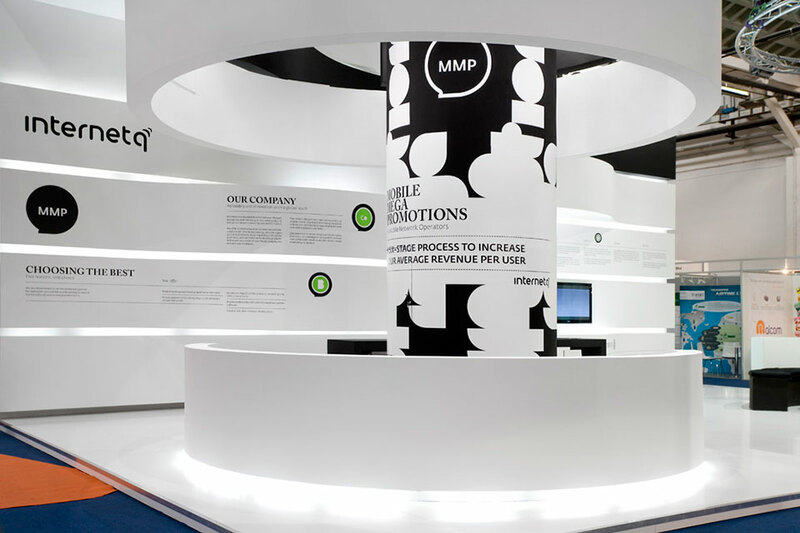 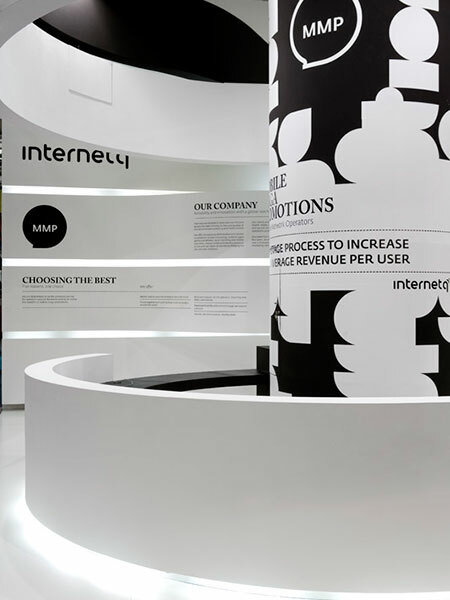 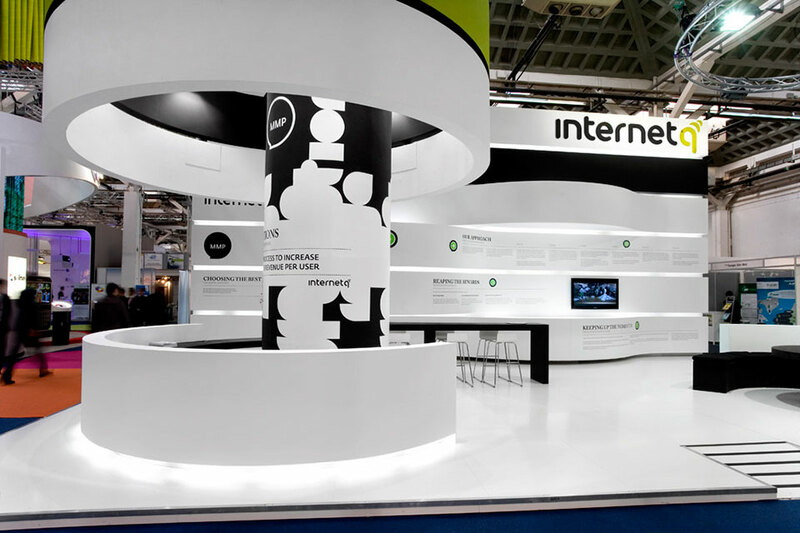 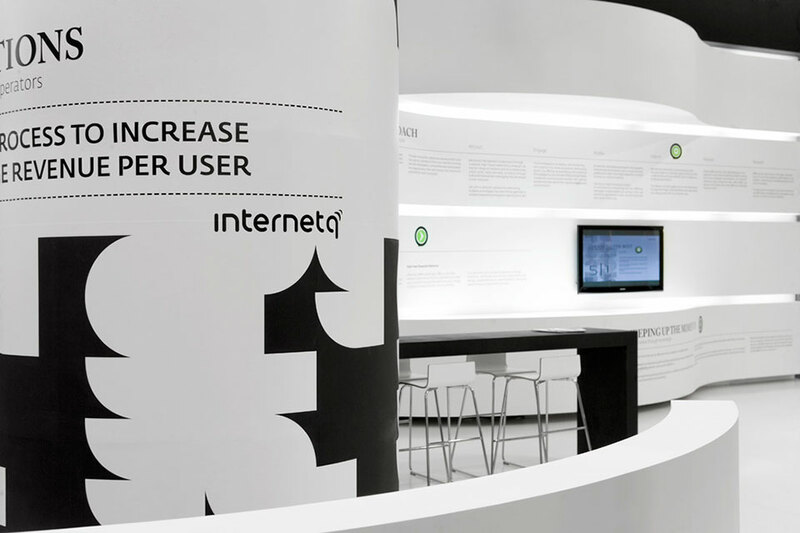 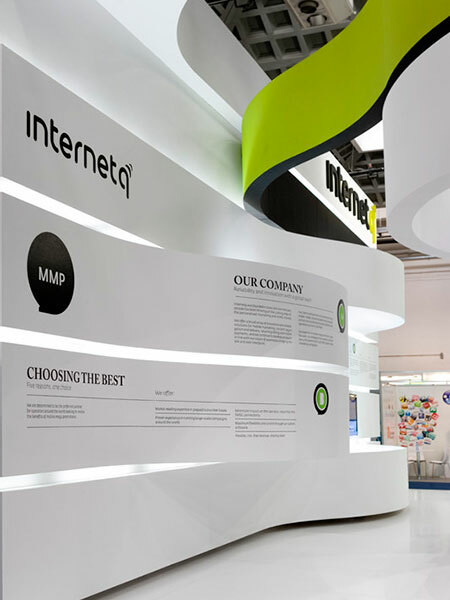 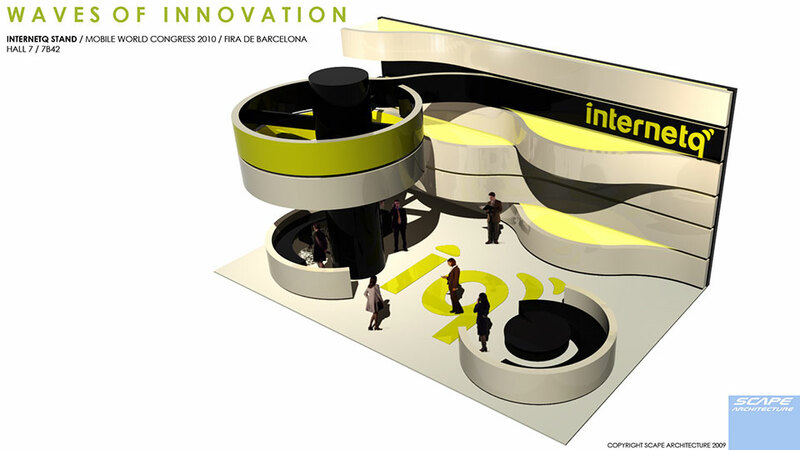 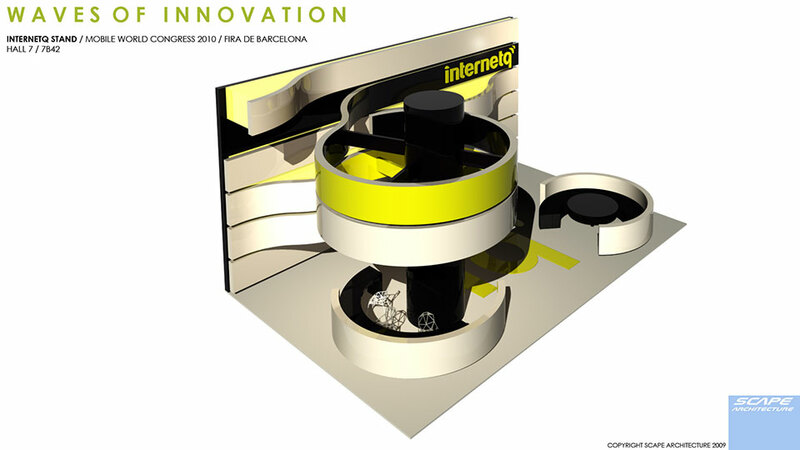 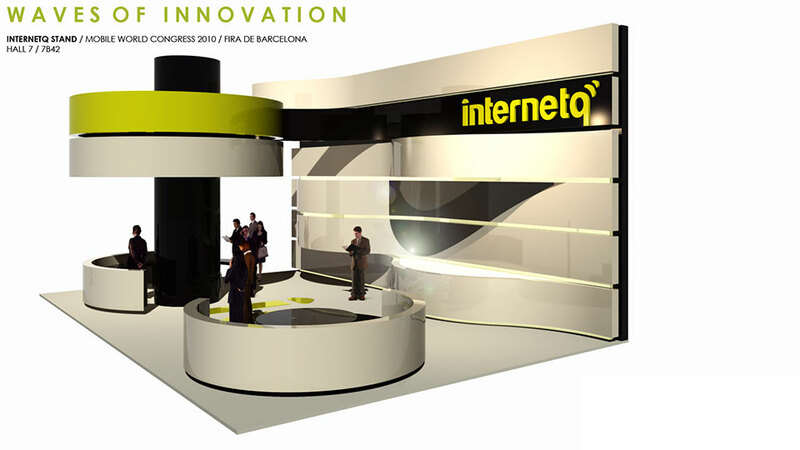 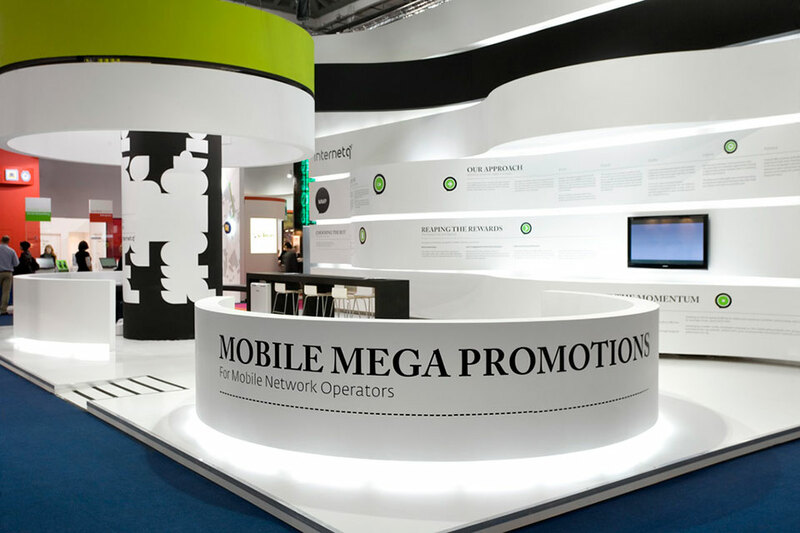 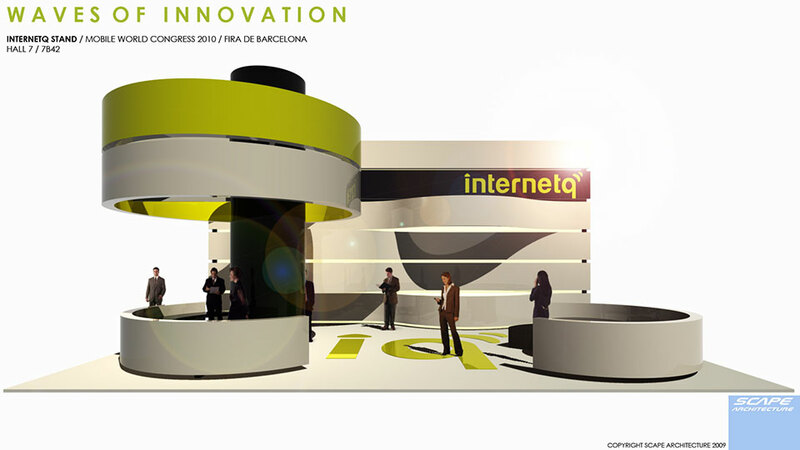 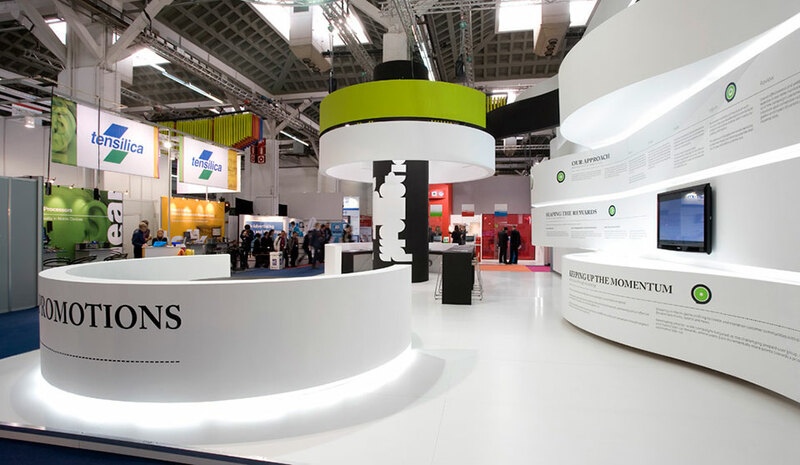 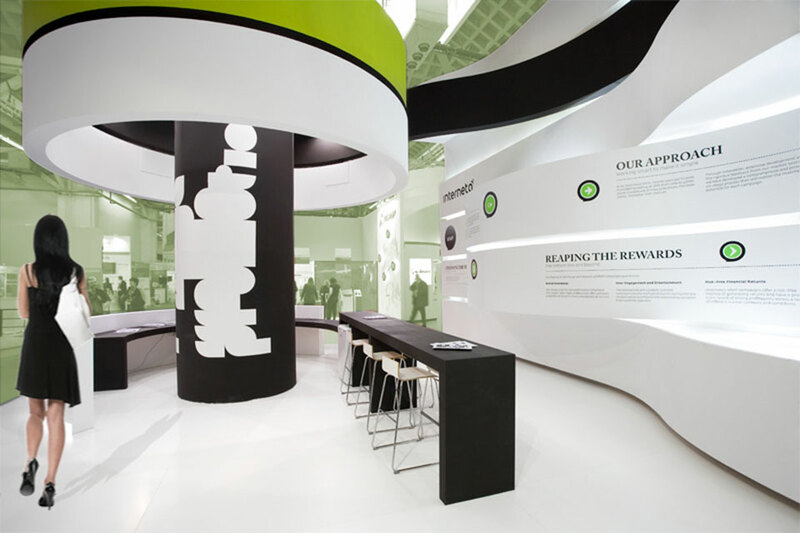 The exhibition stand is a temporary, ephemeral structure, restricted in the grid of the exhibition hall, aiming to draw visitor’s attention, display new internet services and promote the company’s innovation. 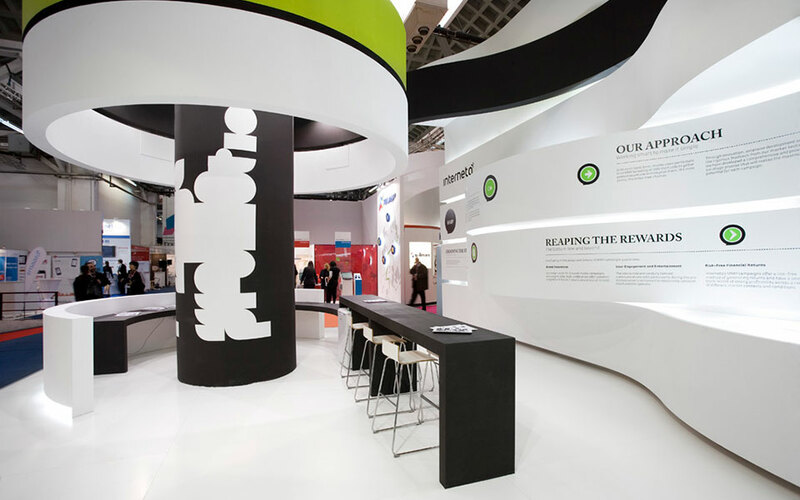 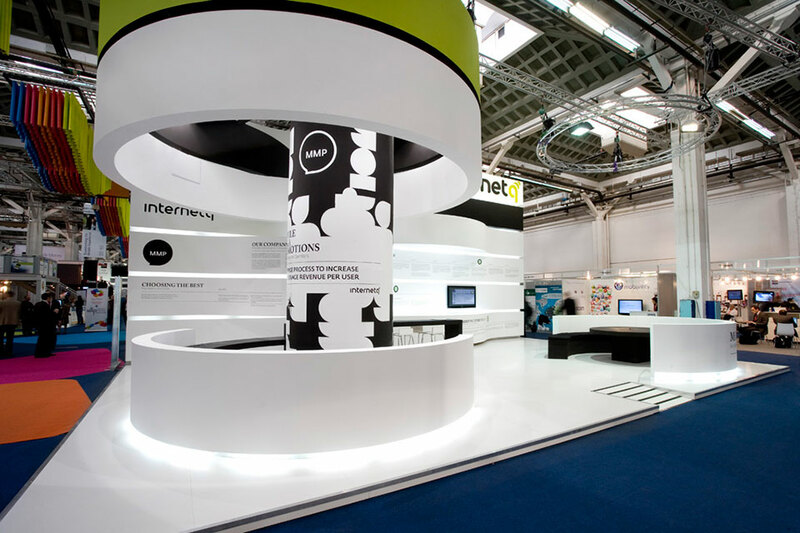 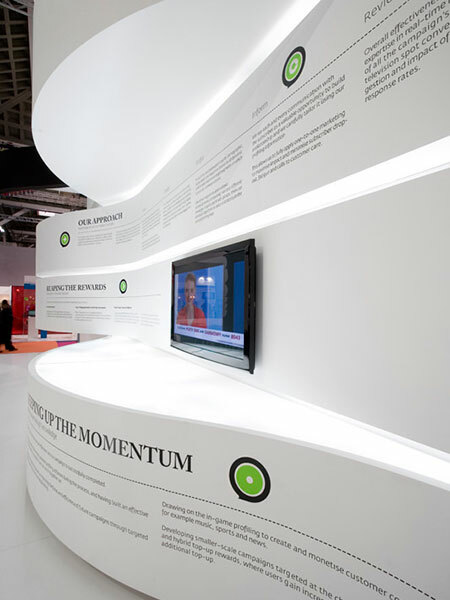 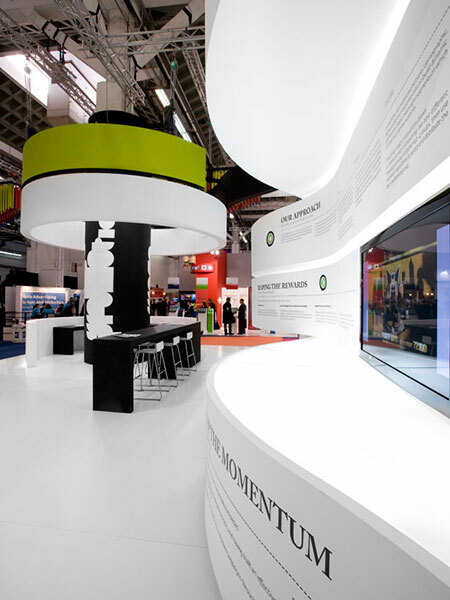 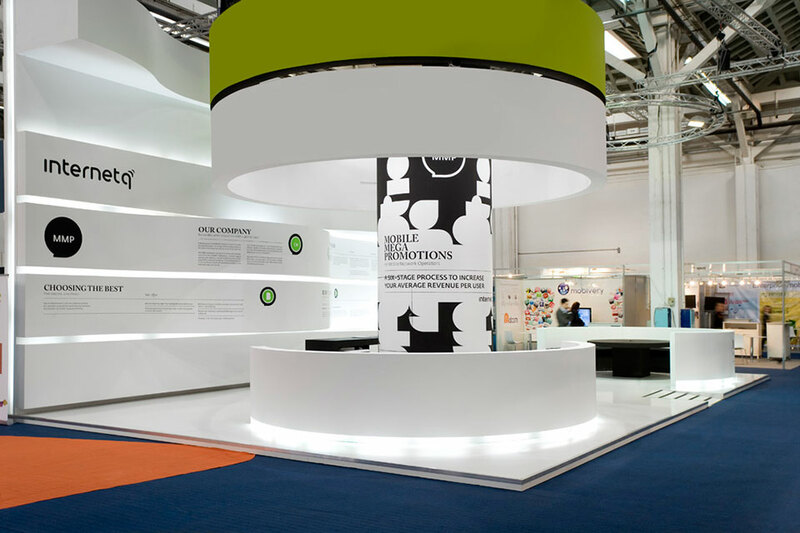 The exhibition stand has three open sides and a big round column within its area. 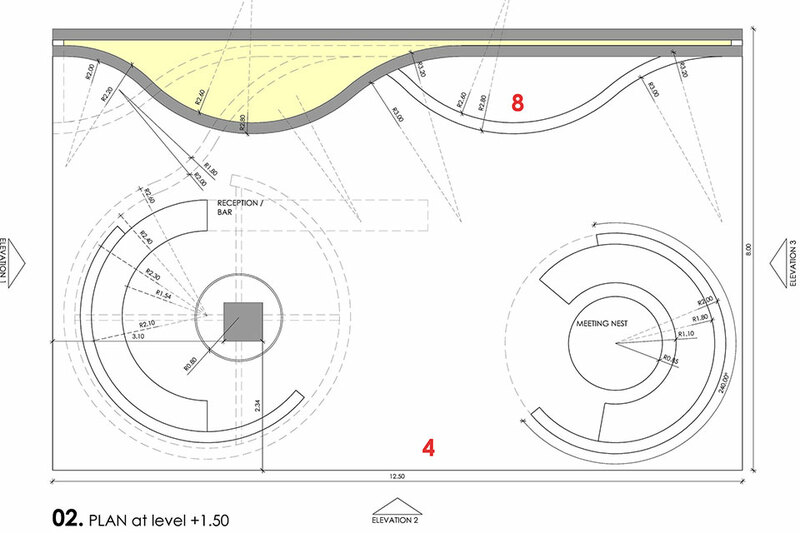 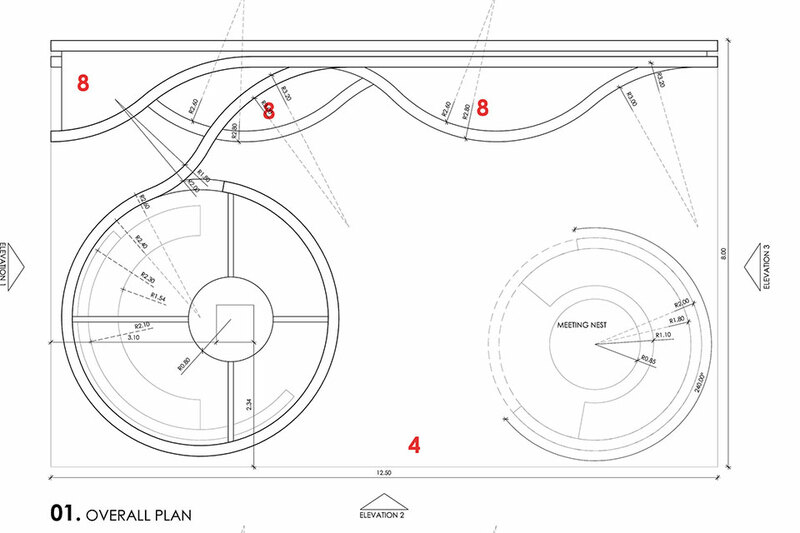 Design approach uses the circular shape in a second circle forming a round sitting area and in the wavy background storage wall. 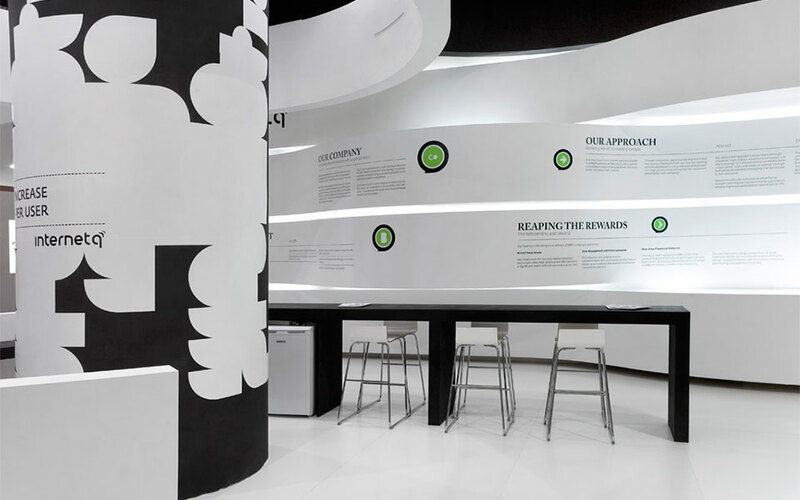 Horizontal zoning allows overhanging shelves, opening parts and a joyful graphic development.